Vatican City, Feb 1, 2018 / 10:26 am (CNA).- Pope Francis in his latest prayer video places a spotlight on the problem of corruption, saying that it is the root of most societal evils and praying that those in power would be able to resist its allure. The video, released Feb. 1, opens with the dramatic image of a young girl with a dirty face and clothes holding an infant, and who appears to be part of a group of migrants or refugees. The screen, showing an image of a prostitute soliciting customers, is dissolved and replaced by an image of a beach filled with waste, which in turn is followed by an image of an Italian monument commemorating the 1992 “Strage di Capaci,” referring to a massacre in which Sicilian mafia branch Cosa Nostra killed anti-mafia judge Giovanni Falconi, his wife and their three bodyguards. This image is then replaced by someone opening a briefcase of money and passing a handful to another person behind his back. He recently returned to the topic during his Jan. 18-21 visit to Peru, which is one of several Latin American countries to be hit with a wide-scale corruption scandal involving several of their former presidents, and accusations against sitting President, Pedro Pablo Kuczynski Godard. In his address to diplomats and civil authorities, the Pope said Peru is a country that has a lot of hope, but warned that “a shadow is growing” through corruption that could smother the potential to do good. Corruption “increasingly contaminates the whole system of life,” he said. An initiative of the Jesuit-run global prayer network Apostleship of Prayer, the Pope’s prayer videos are filmed in collaboration with Vatican Media and Argentinian marketing association La Machi. According to the release, the video is the latest in a series of initiatives from the dicastery aimed at drawing attention to the worldwide problem of corruption. Among these initiatives was a June 15, 2017 conference on corruption that coincided with the release of Turkson’s book. The dicastery will also be hosting a conference on corruption in Naples Feb. 3, where the Pope’s prayer video will be shown. 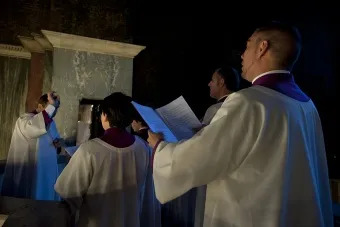 Vatican City, Oct 25, 2017 / 12:08 am (CNA/EWTN News).- For one member of “the Pope’s Choir,” the Catholic Church, while appreciating sacred music, has in some respects lost the art of singing it in her parishes, prompting the need for a revival of traditional style across the world. 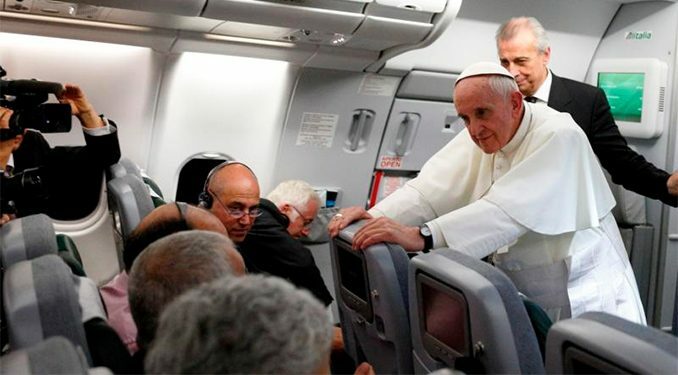 Simply being “the Pope’s choir” is enough to attract people, Spyropoulos said, while adding that there also seems to be “more than that” fueling peoples’ interest. 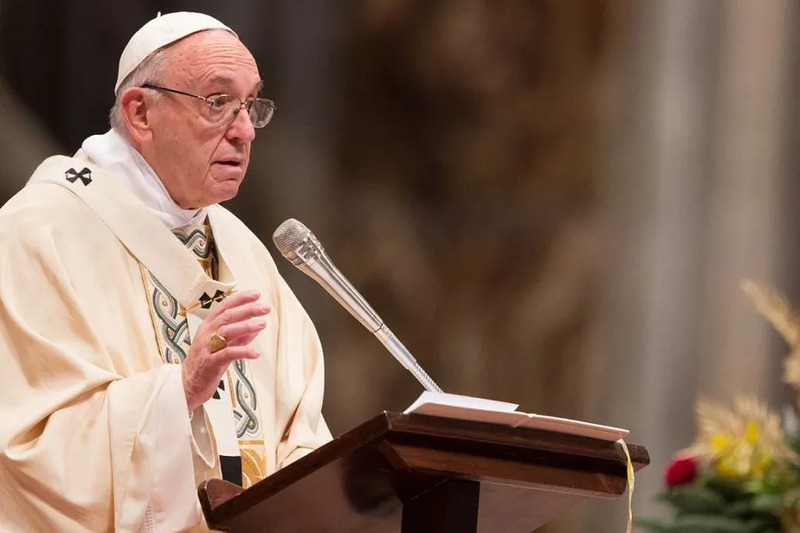 Vatican City, Feb 14, 2018 / 05:32 am (CNA/EWTN News).- On Wednesday Pope Francis again offered some reflections and tips for the Liturgy of the Word, saying faithful who attend Mass lack a fundamental “right” if they do not receive a well-prepared and well-preached homily. 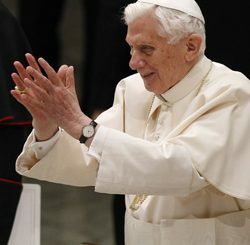 In the Liturgy of the Word, the Lord speaks for both pastors and faithful, and he “knocks on the door of those who participate in Mass, each one in their condition of life, age and situation,” the Pope said Feb. 14. Pope Francis spoke to some 10,000 pilgrims present in St. Peter’s Square during his weekly general audience address on Ash Wednesday, continuing his catechesis on the Mass. 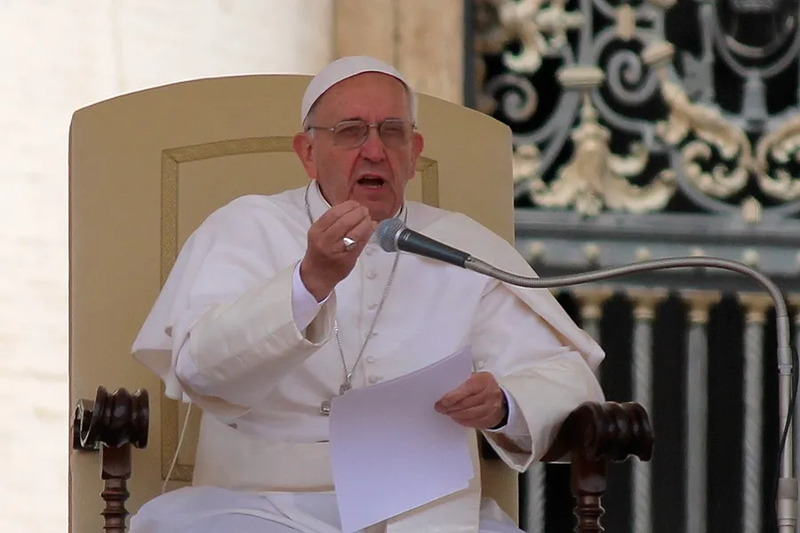 Francis said that our response to the Word of God is also seen during the Universal Prayer and the Prayers of the Faithful, during which we pray for the needs of both the Church and the world.